Today is the collective cover reveal of the books in the CELEBRATE: A Love Brothers Anthology! We have been sitting on this cover for a logn time and are thrilled to show it to the world together with the other authors in the bundle. Fifteen amazing stories featuring Liz Crowe's Love Brothers characters! 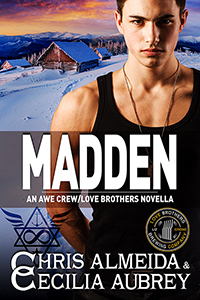 We're thrilled to be a part of such a great project and happy to finally unveil the cover for our story, MADDEN. Our contribution to the anthology is a crossover between our A.W.E. 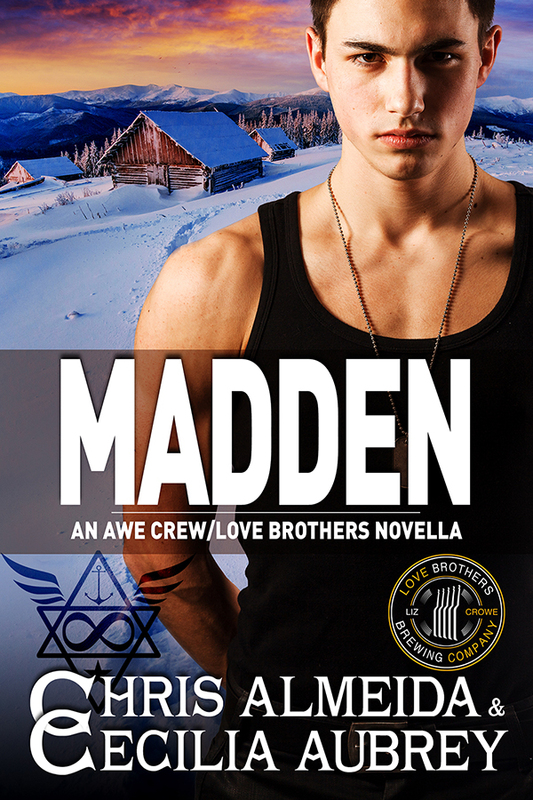 Crew series and Liz's Lover Brothers series. It tells the story of Jacob Madden, a special forces soldier and ex-Amish who left his roots behind in search of himself. Abigail Wyse chose to stay tied to those roots even though her heart left with Jacob. When he returns to Kentucky and comes face to face with his past and the woman who populated all his fantasies over the years, will he be able to leave again? This project was very special to us. We got to meet some great people in the ex-Amish community and have some enlightening conversations about life in the settlements.